Want us to do the work for you? Call today! 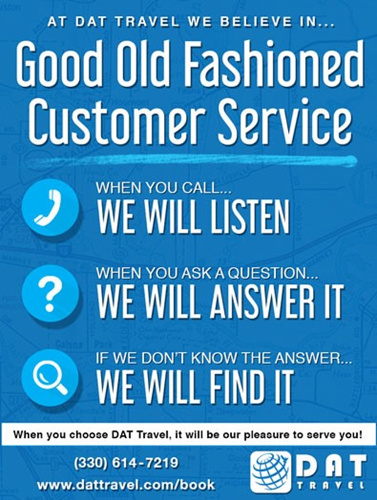 If you have travel questions or would like to make a hotel reservation, please contact our friendly representatives online at reservations@dattravel.com, or call us at (330) 614-7219. We have provided our information for your convenience. It will be our pleasure to serve you!